This is my first post here at STC, and I’m so happy to be here! The Lord’s anger rose a couple times, and even poor Moses was getting fed up. As Moses was talking to the Lord, he said, “Where am I to get meat to give to all these people? For they weep all over me, saying, ‘Give us meat, that we may eat.’” (v.13) Moses was burdened by them, so much so, that he even told God that He could kill him here and now! This whole account is so wild and vivid in my imagination. Most of the Old Testament deals with the Law, which for the most part deals with outward actions. But as the “Beattitudes” and Jesus’ ministry in the New Testament show us, as does this event in Numbers, God is even more concerned with what is in a person’s heart. They must have felt justified in their whining, or they were just running on emotion only thinking of themselves. I tend to think they might have been shocked or surprised when they got what they wanted and then, BAM, here comes a plague and death. I wonder if they connected their attitudes to the consequences that occurred. Theirs was a heart attitude of disobedience and sin. Let’s see what specifics we can identify: gluttony, idolatry, self-centeredness, ungrateful, disrespectful, discounting God’s power and provision, and perhaps double-mindedness. Out of these hearts flowed complaint, whining, and crying. Can you imagine how different things would have turned out if this craving and ugliness wasn’t in their hearts? They might have been able to stay alive and go into the Promised Land. 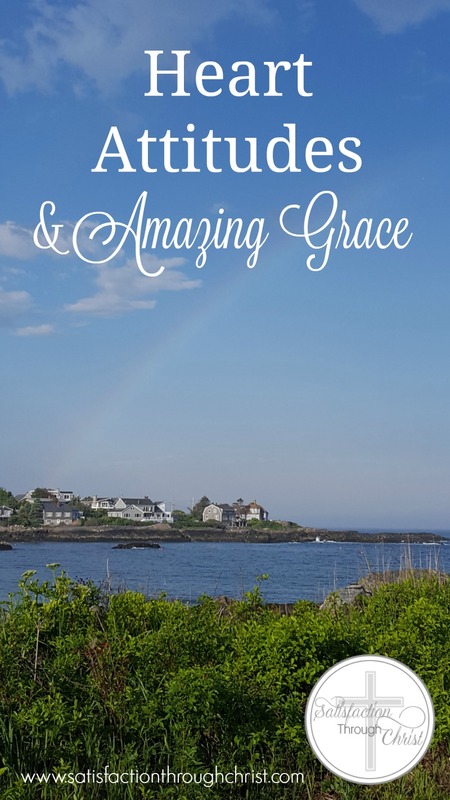 What if God’s grace was able to work in them? Things were different in OT times, before Jesus died to atone for our sins and sent the Holy Spirit to live in believers. We have God’s grace today. Grace does not mean that we can sin without regard to God and His commands, living as we wish, and it’s okay. Grace means that God is working in a believer’s heart to transform and renew their hearts and minds. If the Israelites would have had God’s grace, they might not have complained, even if they felt cravings in their hearts. Or they might not have forgotten what God had done and was already doing for them. Or they might not have set their own desires above God. Or they might have given thanks for the manna they did have. Everyone has sin and urges that are wrong. God’s grace is working as we confess and repent of those things in our own hearts. He forgives us and clears our record. But then He will work to dwindle and remove those things. He changes our hearts and desires. At some point, there won’t even be any conscious decision on our parts; rather God’s grace will have tailored our hearts to the the right attitudes. I have experienced this many times as a follower of Jesus. What an appropriate name for that place: “Graves of Craving.” May we all experience God’s transforming grace in our hearts as we put our selfish sins to death and live for God’s glory. Welcome!! Love this. So SO good. Thank you! Thank you, Rachel! It’s such an honor to be here sharing Truth! ɛҳƈɛƖƖɛŋɬ ℘ơʂɬ. ῳɛƖƈơɱɛ ɬơ ცƖơɠɠıŋɠ.? Thank you for reading and for your kind words. I’ll pray for you. I have 3 daughters (bio), in the “tween” stages. But adopting is something that is close to my heart and I would love to adopt some day. Perhaps my kids will be teens when that happens! This site has several authors, and I know the founder, Christie, has adopted. She might have some links and articles here. I’m so glad you found us!